Each evolved from a different set of requirements and different missile families. The main difference is that at 33kgs for the missile the Kornet is not really man portable any more so it has become like TOW or HOT. Krisantema was always a vehicle mounted system including both air and ground vehicle just like the Shturm and Ataka missiles it is pretty much replacing. We have seen a further improved Kornet-EM with 8.5km and 10km range for AT and general purpose use respectively. We haven't seen the performance figures for new model Krisantema. Otherwise both are very fast beam riding and/or command guided missiles with 6+km range and 1.2m+ armour penetration capacity. Krizantema is a much more expensive system. Maybe the Lenta.ru report above mentioning the Kornets was actually referring to the Khrizantema's ? The Krizantema System is more expensive because of its MMW radar, but the missiles themselves are cheap enough. The more expensive system allows all weather day night capability that Kornet does not. I rather suspect that many of the changes applied to the Kornet-EM to double its effective range could be applied to the Krisantema for a similar range and performance increase. AFAIK MMW radars can be mass produced fairly cheaply and could be used to create a fire and forget missile in a similar class to MMW Hellfire, though the current design using laser beam riding backup with MMW radar radio command guidance is certainly cheap and simple and allows targets that cannot be clearly distinguished from the background to be engaged. For instance a particular window in a large building. Has Russia ever tested an ADATS equivalent? IMO one of the best missile systems ever built is the Canadian ADATS that can penetrate as much armor as the TOW2A and has a lot higher speed while being able to engage all kinds of aircraft with ease plus its very high speed make it more difficult for vehicle mounted hard kill systems to intercept it. the question is why hasn't Russia ever been interested to my knowledge of building a missile like the ADATS. I'm sure that with more modern technology and superior missile and HEAT ammo tech the Russians could make a sytem far deadlier than the ADATS. Do you know any Russian prototypes of that kind of a weapon and if yes why hasn't it ever entered service? ADATs is a pretty stupid idea when it comes down to it. It is a bit like mounting SAMs on your self propelled artillery vehicles. What is the use of an air defence vehicle that can operate with tanks that can also destroy enemy tanks? How does the vehicle commander decide whether to engage enemy vehicles or enemy aircraft? What happens if he gets it wrong? At the end of the day some vehicles can be combined... a case in point the Shilka and the SA-9/13 were two vehicles that performed basically the same role but their features did not overlap, yet to improve their performance expensive sensors would need to be duplicated for each vehicle. By combining the gun and the missile armament onto one vehicle you get a vehicle more expensive than either of the two it was replacing, but also much more capable and also cheaper than upgraded versions of both previous vehicles, to buy and to operate. Guns compliment missiles in air defence because they are cheaper and not stopped by jamming and allow ground targets to be engaged and also warning shots. Missiles are much more expensive per shot but have a higher kill probability and much greater range. There is nothing wrong per say with having dual use missiles, but it needs to make economic sense... any missile with the performance to hit high speed aircraft will likely be too expensive and large to be comparable to a decent ATGM. I would suggest going the other way like with Kornet-EM would be much cheaper... and that is critical... expensive means you wont have that many deployed, which makes them less effective. Kornet-EM will most likely be fitted to every IFV in the Russian Army... and will most likely be standard UCAV armament too. Personally I thought Starstreak was a better idea than ADATS. HERMES is related to the SA-19/-22 SAM (the missiles from Tunguska and Pantsir-S1 respectively). HERMES will be a cross service missile... used by the air force, navy, and army as an air, naval, and land based missile for use against a range of ground target types including armour. The solid rocket booster will accelerate the missile to approximately 1.3km/s and the missile will follow a ballistic path to the target area where the terminal phase guidance will take over... likely including IIR, MMW radar, Glonass, SALH and likely optical guidance. Yeah there is a reason Russia isn't going to be attempting an ADATS counterpart anytime soon (or ever). It can afford to operate specialized vehicles that are better at their job than this Frankenstein. Russian didn't build a SAM complex, that will also fight tanks, they are too value and expensive for that. They also build BMPT that air defense guns will not be used in ground battles. 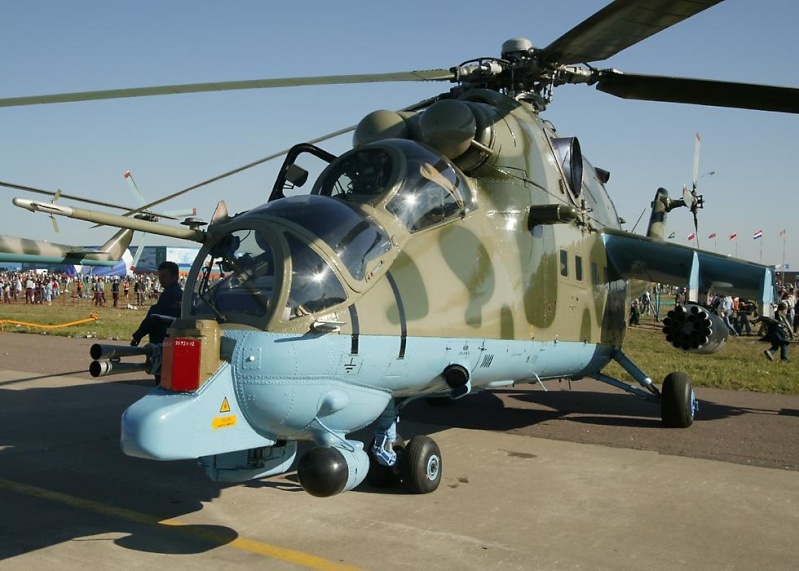 But they build antitank missiles, which could also engage flying targets as Vikhr for Kamov helicopters or Krizanthema, which could engage low flying helicopters and planes. Problem is, that ATGMs don't have such elevation as SAMs, because they don't need it. Maybe BMPT is the most close to ADATS, because it have higher elevation for its Ataka ATGMs and FCS, so it could do AD role in self defense or when needed. It's far too large to be used in an anti-tank roll. How are you supposed to sneak up on anyone with that? The performance required of ADATS to engage fast low flying aircraft makes the missiles relatively big and expensive... and relatively fast. The problem is that such big expensive missiles are not needed for the anti tank role and smaller cheaper missiles can do that job much better. The Soviets and Russians certainly have a range of multirole missiles... the air launched Vikhr for example has a special warhead that either explodes on impact and blows a small hole through very thick armour (for AT use) or it operates with a proximity fuse for use against thin skinned aircraft. For the mission of tank hunter they already have the Shturm-S and Krisantema-S missile vehicles, which may soon be replaced by a more modern chassis with Kornet-EM missiles. For an anti aircraft defence vehicle they already have Tunguska and are introducing the Pantsir-S1. I would suggest the ADATS is radically inferior to both systems in terms of costs and performance. To be honest, russian ATGM missiles are actually fast enough. For example, Roland 2 missile have max. speed 500m/s. Kornet is in the same class, Vikhr is even faster with 610 m/s. Ataka have speed 550 m/s and Krizanthema 400 m/s. They are able to engage low flying aircraft, which fly subsonic, and CAS planes fly subsonic. Problem is, that ATGMs are not designed for high g turns to engage fast turning planes, but slower ones and helicopters could. Very good points, though anyone who watches US movies and sees US aircraft fly in front of missiles or dodge incoming missiles probably has totally the wrong impression of reality. Even a slow missile like Kornet-EM travelling at mach 1 is moving much faster than any helo... when shown in movies the missiles seem to be flying at a very similar speed to the aircraft they are trying to hit, it becomes like a mini dogfight with the missile trying to ram the target. In reality the missile would be a blur, the pilot would use information from his ESM suite and assume the missile it headed straight for him so a timed turn at the last seconds before impact a sudden turn means that the missile has to detect the change in direction of the target, recalculate a new interception point and then turn to reach that new interception point in time to meet the target there. The faster the missile is travelling the harder it is for it to turn, so a lower speed missile should in theory be able to turn with the target much more easily, though most ATGMs can turn hard because they normally don't need to. Their small control surfaces wont allow super high g turns. Missiles like Vikhr and Kornet-EM do have the enormous advantage in the anti air role that they are equipped with proximity fuses which makes kills much more likely. As an example the tests of the original Igla MANPAD against Falanga ATGMs (AT-3) used for testing their performance against very small low flying targets to see how effective they would be against cruise missiles resulted in 5 hits from 9 engagements. The main reason for the 4 misses was the very small targets and impact fuses that required contact with the target to set off the warhead. Igla-S was fitted with a proximity fuse because of the results of that testing and has become a much more effective weapon because of it. GarryB wrote: Very good points, though anyone who watches US movies and sees US aircraft fly in front of missiles or dodge incoming missiles probably has totally the wrong impression of reality. From diffrent situations like Ambush they would probably have less than 2 seconds to do anything flaring or trying to dodge which is the most unlikely thing. MANPADs for example are for the most helicopters absolutley killer since majority of Attack Helicopters don't have MAWS only AH-1Z,Mi-28N,Ka50/52,WZ-10,EC665 the rest stays unaware. MANPADs launched by infantry is closer to 1-1.5km from the Helicopter, because the human eye wouldn't and couldn't spot anything at higher distance, not to mention that MANPADs would have trouble to give a Lock On. So we have 1.5km range from MANPAD to Helicopter with let's say a Stinger FIM-92C with Mach 2.03, even when we take into account the time which is under one second to gain the maximum or at least near maximum speed while the Pilot is flying with Maximum speed of about 300km/h away from Launcher and an immidiate recognition of the incoming SAM, (and in this scenario we totally ignore that the MAWS first had to measure the vector if the missile is even flying towards his helicopter or not) of MAWS it would give him a time window between 2.4-2.8 seconds to react. Even 3 seconds for someone who is unaware at such speed wouldn't be enough to do any maneuvers which would give him the ability to avoid it, the only hope is the automated Counter-Measure system for self-flaring or someone who has fast reactions to flare, but an automated counter-measure system is by far better since it uses a flare-sequence when it can classify the incoming SAM. Mi-24s had nagging nadia... missile approach sensors... note the sensor in the photo below just level with the pilots canopy but behind the pilots position below the engines... the sensor on the end is an IR incoming missile warning sensor... on older model Hinds it was lower and further forward. The information about the Igla testing was from an issue of a German military journal called Miltech (short for military technology) by monch publishing. A very interesting journal BTW. If i'm not totally nuts, this is the LIP Radar warning reciever. All Missile Approach Warning reciever i know operating in UV-wavelentgh therefore they need Optical access to surrunding Area and this things on Mi-24 don't have any lenses but a hard cover. This must be the LIP RWR sensors, stated by this sources, which you've provided a few times before. When you look on all MAW sensors at EC665 Tiger,Mi-28,AH-1Z,WZ-10 or any helicopter with MAWS you see all are optical. And this is the close up of the sensors you meant of Mi-24's. PS: The nagging nadia is the System of "Ekran M03" (not really sure if it is the exact version in Hinds) it is like the american "bitching betty" Just the voice system that warns the pilot from Lock On or low altitude and so on. Most operate in UV and IR light range so don't need clear lenses... look at the IR sensor on your TV remote or home alarm system... most look like frosted plastic or glass in the visible light range we see in, but are transparent in UV and IR frequencies. The link you posted... did you read it? Airborne active radar missile approach warner fitted to platforms such as the Mi-24 Hind, Ka-29 Helix and Su-25 Frogfoot. Mi-24 installation only covered 180° , which lead to several losses, and the Ka-29 used two sensors to give 360° coverage. So it is an active radar sensor that detects incoming threats... not optical at all, my mistake... I assumed the bumps on the end were frosted plastic covers for a UV/IR sensor, when in actual fact they are pulse doppler radar sensors to detect incoming missiles. And no, you are not nuts. Nagging Nadia is the "flashing light" in the cockpit to tell the crew that the aircraft is under attack and is just as an important part of the MAWS as any other component. It is a now obsolete active missile dectection system that used dopplar radar to detect incoming threats. When it detected incoming missiles it would automatically launch timed flares and chaff and a calculated time to offer the best possible defence and would also warn the pilot... in this case verbally. As mentioned it only operated sideways on the Mi-24 so it didn't cover all angles. Why do almost all Russian missiles have SACLOS guidance? Wouldn't heat seeking and SALH be much more efficient? The americans have a lot of experience with them like the hellfire, maverick, javelin(i'm not saying its good but it still is F&F) and while the Russians are superior in all other categories of missile building they are lagging behind in F&F weapons. I've heard that only a few russian AGM prototypes(X-102 is one of them I think) are F%F while all others are wire guided or have laser riding SACLOS guidance. Do the Russian armed forces don't have the technology or they think that F&F AGMs and ATGMs are completely pointless? Because Russia and her allies don't want to spend all their money on weapons. For the price of a Javelin, they can have 20 Metis-M1 missiles... and if you look at experience in Afghanistan where the targets generally are not tanks... but often firing positions where the expensive Javelin has to be fire line of sight in manual SACLOS mode anyway the advantage actually lies with the cheaper, simpler and lighter Russian weapon... a weapon that can also be fitted with a thermal sight to use at night and in all weather. Wouldn't heat seeking and SALH be much more efficient? No. When pointing a SAM in the air at a plane you will hear a noise called a tone when the seeker is locked so you can fire your missile. You can be sure the aircraft is locked because it is the only hot thing up there, but pointing at ground targets unless you use a very sophisticated thermal imager you are not going to be able to tell what the IR seeker has locked on to... and most of the time the precise thing you want to lock on to might not have an IR signature that makes it stand out enough to get a lock... except Gas turbine powered tanks like the Abrams or early model T-80s. SALH is not really fire and forget because someone has to point a laser at the target (and the Soviets and now Russians have tons of artillery shells guided by laser anyway). The americans have a lot of experience with them like the hellfire, maverick, javelin(i'm not saying its good but it still is F&F) and while the Russians are superior in all other categories of missile building they are lagging behind in F&F weapons. Really? If you are going to include TV guided Maverick, Laser guided Hellfire, and IR guided Javelin then what about TV guided Kh-29T, laser guided Kh-29L, Kh-25ML, Krasnopol, Kitolov, Gran, and indeed Svir, Kornet, Kornet-EM. Krisantema? Hermes is going to have SALH, MMW radar, GPS, and IIR seeker options... and a 30kg warhead. They try to minimise the cost of the weapon system, so for instance they could have make Vikhr-M into a SALH missile, or indeed the Kornet, but they chose to fit the equivalent of a TV mavericks guidance into the platform, so the onboard TV camera is kept stabilised and pointed at the target, which is used to aim a low powered laser beam. The missile looks back at the launch platform and guides itself to the target so target mounted dazzlers or smoke have no effect and the missile remains simple and cheap with no expensive thermal sight or radar needed. The real question you need to ask is who is getting the better deal... Javelin has a low spec thermal imager in its nose because it is designed to work for a few seconds only and then be destroyed. That means it lacks range and does not produce a great image limiting range. In comparison the Kornet-EM has a much better thermal imager in its sighting system and can engage ground and air targets out to 10km with a missile that is cheaper than Javelin. With its autotracker the Kornet is practically fire and forget in terms of what the operator needs to do. I think the Russians are getting a much better system and they are getting it for much less. I can't emphasise the cost factor enough... in real combat ATGMs have actually be used as a precision guided artillery weapon for hitting targets out to 2-3km. Targets are generally snipers or MG positions, or something rifle fire is having no effect on like a rifleman behind cover in a building or small bunker. The ATGM is ideal for putting a HE charge precisely where it is needed from a distance where the target cannot effectively respond. Whether the missile is a Milan or a Fagot or a TOW the popular use of them means you need to make lots and lots and you need to field lots and lots. Metis-M1, or AT-13 is an upgraded model of the Metis missile AT-7 Saxhorn. The improvements show they got the original design pretty much right as it is lighter and longer ranged and has a much better warhead able to penetrate 950mm of RHA. Other than that is it simple and relatively light... it can be fired from the operators shoulder, with each missile light enough for a unit of three men to be able to carry the launcher and 5 missiles between them. (launcher and missile for one guy and two missiles for each of the other two soldiers). The low cost means they can fire off round after round because the missiles are actually very cheap. The launcher costs a bit more than the older launchers because it has the optional thermal sight, but that thermal sight is not in the missile so it can be a higher quality model that the unit can use for observation and engagement in bad weather and at night... the missile never sees the target. Don't get me wrong... fire and forget is not a bad thing... when IIR seeker chips are cheaper and MMW radar seekers have improved and gotten cheaper then they might be useful alternatives, but the KISS principle applies... Keep It Simple Stupid. Rare video of Krizanthema. Seems from army unit, although they don't have bort numbers. Nice find Medo, the modernized command vehicle is the most interesting thing in that vid.